Posted on February 26, 2013 by Jessica Gaido | Comments Off on Predictions for 2013! We’ve checked out Campus Technology’s predictions for 2013 in technology in higher education, and check out a few of our favorite predictions! Social Media’s importance in higher ed: Year by year, the social media tools that we use continue to grow. From the booming of Google Apps and Google Plus to Facebook, Twitter and more, as we predicted, apps have already made their way into the higher education learning environment. Not only does integrating social media into the classroom make it a great way to communicate outside the classroom and share news, but having skills using social media is a great asset to have when seeking employment! Schools with their own mobile apps: Mobile apps are a great way to keep in touch with the events on campus and follow campus news! Here at UIS, we have our own mobile app. Check it out and follow us! To read the entire article, click here! Comments Off on Predictions for 2013! 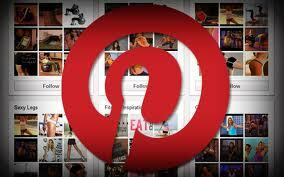 Pinterest is one of the newest social media websites that growing in popularity at a rapid rate. This website allows users to explore different things across the internet that interest them. Choose between categories and browse through the pins, and repin those that you want to keep on your personal boards. One of the categories that you may not be familiar with on Pinterest is Technology. Next time you’re logged in, make sure to check out this category for some of the newest gadgets, infographics, newest apps, and other neat things trending in the technology world! Posted on May 29, 2012 by Jessica Gaido | Comments Off on Your Summer Bucket List! Finally, the weather is warm, the sun is out, and it’s clear that summer is finally on the horizon. With classes ending, you may find yourself with more time on your hands. Like last year, we are giving you a Summer Bucket List, Round 2. Here are 3 ideas for you to explore this summer. While Facebook, Twitter, and blogging aren’t new to the technology world, they quickly reached the top. Social Media is everywhere and has a place in almost every industry-especially higher education! Chances are your students are on their phones, laptops, iPads and other devices all the time, so incorporating blogs, Twitter, and other social media tools into your classroom could be a great way to maintain contact even when class is over. This summer, create a Twitter and begin tweeting or start up a blog that you can integrate with your classes in August. No longer is PowerPoint the standard for classroom lectures. There are now so many neat (and free!) tools available so you can escape the monotonous PowerPoint presentation. For other ways to present information, try checking out Prezi or SlideRocket. Or, if you are looking for something interesting and unique to incorporate into lecture, check out TED and Snag Films for great videos that will make your students understand classroom material from a broader prospective! 3. Familiarize yourself with Free Web Resources! This one may be one of our favorite ideas. We spend a lot of time searching for free web resources for higher education and share them with you through our blog. Be sure to continue to follow us for weekly posting that provide you with the scoop on what’s new, great, and free! Check out a Google Site we’ve created where you can view an entire list of free web-based resources. Read their descriptions to learn more, and then instantly access their links to instantly begin using them! Summer is a great time to explore new options and resources for the upcoming school year. When you’re not vacationing or lounging by the pool, we hope that after checking out these resources a little more you will be inspired to put them into use this August! If you would like more information on the tools listed above and many more ideas for creative ways to integrate technology into your classes, be sure to check out our past blog entries, our website, or contact us! Comments Off on Your Summer Bucket List! There is no questioning that social media has become a huge part of most of our lives. From tweeting on a regular basis to checking our Facebook for updates from friends and organizations that we follow, we find out most of the information we know via social media. So exactly how is social media changing the role in which we receive news? In a huge way-social media is rapidly growing in numbers and beginning to replace traditional journalism as our news source. Check out this great infographic we have found and see just how much social media is changing the way we get our news! Google Apps has taken over many of the things we use the internet for—email, managing schedules, organizing photos, creating websites, and so much more! 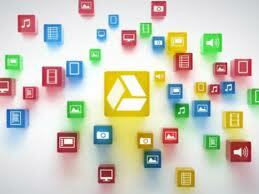 Now, they’ve released Google Drive, the app that allows us to share and store files over the internet. Google Drive is like Google’s version of “The Cloud” but it offers several additional features, including: it integrates with your other Google apps (including Google Docs! ), offers 5GB of storage for free, and it goes beyond other storage apps by offering live collaboration features. Google Drive is an app that is downloaded to your computer. After downloading Google Drive, you will be able to sync your files on your computer to your Google Drive. They will then appear on the web for you to access whenever you need them! Any time you put a file in the folders synced with your Google Drive, they will appear in your Google Drive on the web. You will then be able to view, edit, share, and collaborate live on your files. Google Drive offers many additional features for you to check out. The integration of Google Docs allows users to create multiple types of documents, there is a search feature that can help you find anything, and you can get Google Drive on the go through their apps for Android and iOS devices (coming soon)! If you are on top of social media and new tools, then Pinterest is no news to you. But, if you are a stranger to this new tool that recently gained significant popularity, then check out this post to see what it’s all about! Pinterest is essentially an online pin board; a place where users can share pictures, videos, and links to websites they have found online. It is a great way to visually share information via the internet. Categories range from food to technology, and everything in between. Users are able to both browse through the pin boards of other users, and create their own. They can add their own original pins, re-pin things they like from other users, make comments or like pins, and even follow the pin boards that interest them the most! Pinterest is a great location to learn, share, and engage in new and exciting things that interest you! So how can Pinterest be used in higher education? 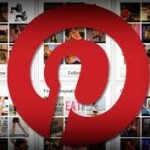 Pinterest creates a stimulating and exciting environment to deliver new information to users. Try creating a Pinterest for your class and include images, links to useful resources, videos, and other information that your students can browse through! Encourage them to make comments and even create their own pin boards for class so everyone is able to collaborate and share together. Pinterest is a simple, cost-free, and new (and exciting!) way to share and consume information from the internet. Be sure to check it out and try to use it in your class! It seems everywhere you turn today there is some new social media tool that is instantly becoming viral all over the internet. As soon as you give in and create an account and learn how to use one thing-the next thing has already taken over. Here is a breakdown of some of the newest social media tools, and how they can be integrated into education to keep you and your students in sync with the evolution of technology! If you are an avid user of Twitter, Timely is for you. It boasts that users get the most out of their tweets when they integrate their use with Timely. All you do is add your Tweet to Timely, and Timely will publish the Tweet so your Twitter followers will read it when it is anticipated to have the most impact and get you more followers, retweets and more. Seems like magic, but it is able to do this through analyzing your past Tweets and examining the patterns that have contributed to making some more popular than others. Amazing! Connect your Google, Facebook and Twitter accounts to Summify, and you will get everything you want to see the most in one place. Essentially what Summify does is delivers the top stories from these other resources and delivers them to you so you can view what is most important, and skip having to weed through the rest. It does this by looking at both your personal and global social networks and selecting the news that has been shared, re-tweeted, or liked by others the most! Pinterest is essentially a virtual “pin board” that allows users to share images that link to websites of really anything on the internet. Categories range in everything from recipes and DIY home décor to sports, education, and technology! Pinterest is a great way to explore your interests and get creative new ideas in tons of topics. Particularly in higher education, pinterest is a great way for students to explore new information, news, and tools in their particular areas of interest! I have no doubt these tools sound unfamiliar to you, however, recent polls show they have continuously increased in use since 2008 and are becoming very popular in education. Tweet your students news stories relating to your class, or create a Facebook for your class to gather as a central location to share and retrieve information. One helpful tip to make the most of using social media tools in your classroom is to mix up the information you are sharing-tweet links to current articles on material-related research, events, and share images and videos with your students to keep them connected to your classroom in a variety of ways. Make it an interactive experience, and you will best engage your students! Stay on top of these tools because not only can the be useful (and fun!) for you and your students, but they are becoming the way the world communicates. Using social media tools to voice your thoughts! Posted on April 14, 2011 by Jessica Gaido | Comments Off on Using social media tools to voice your thoughts! What if a student in your class started a campaign on Facebook sharing their opinions about issues that reached thousands of people across the world? What if they created a YouTube video being viewed by people everywhere at any given moment? College students are sharing their knowledge through Facebook, YouTube, Twitter, blogs, etc. and making a difference by reaching people in other cities, states, and continents. As I write constantly on this blog, technology is changing the way the world interacts. Years ago it would not have been possible for a student starting a campaign on AIDS awareness to reach thousands, even millions of people across the world, but technologies like Facebook make that possible today. Share a page with 10 people, each of those people share with 10 more, and it goes on and on. Within days, a page dedicated to AIDS awareness is reaching an extreme number of users. As an educator, inspire your students and encourage their involvement in using these social media tools by incorporating them into your class. What may start as an assignment may evolve into something much more impactful. Visit UIS’ Sights and Sounds page for links to UIS’ official Facebook, Twitter, YouTube, and other social media applications. Click here to view a list of all the great Facebook Pages or Twitters for UIS departments and groups. These are a great way to stay updated on events at UIS and also see how others use these social media applications in education! Comments Off on Using social media tools to voice your thoughts!